Maruti India is riding high these days on the overwhelming response it has received for the recently launched Multi Purpose Vehicle – Maruti Ertiga. 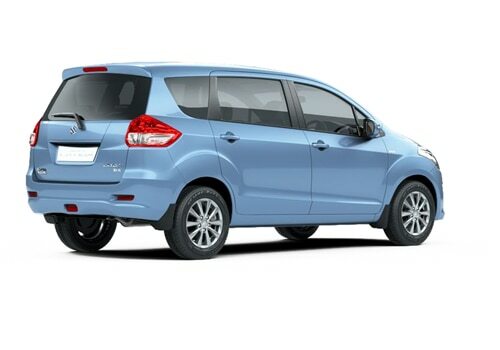 This MPV is doing good bookings across the country and is being offered in both petrol and diesel versions. The Maruti Ertiga price in India for the petrol variant is starting at Rs. 5.89 lakh, while the diesel car variant has a price tag of Rs. 7.29 lakh (both prices mentioned are ex-showroom New Delhi). The sad part is that one of the most popular small cars and the heartthrob of numerous Indians – Maruti 800 will stop its sales from this month. Maruti 800 has been one of the best selling small cars since close to the last three decades for Maruti India. Apparently, the company is going to replace Maruti 800 with a brand new small car by the end of this year and is expecting that this new car will also be as successful as Maruti 800. All the Maruti Cars in India are reputed and trustworthy for giving the best in mileage and are low on maintenance as well. The same way Maruti 800 was also known for its remarkable fuel efficiency, affordability and was always pocket friendly on repairs as well. But now this new car is said to be based on Maruti Alto’s platform and will be fitted with a similar F8D, 3 cylinder motor. The company is expected to introduce this car with a price tag of lesser than Rs. 3 lakh to retain their privileged customers and also to attract new prospects. Maruti 800 will always be remembered and will surely find a big place in the history of the Indian car market in bold letters. In the interim, Indian car market will witness the launch of several upcoming cars such as – Tata Safari Storme, Volkswagen Jetta petrol, Chevrolet Captiva, Audi Q3 and Rio Premier diesel in the coming weeks. I recently shared that Skoda Superb Ambition launched at Rs. 18 lakh and Maruti Ertiga covers lifted with a price tag of Rs.5.89 lakh. 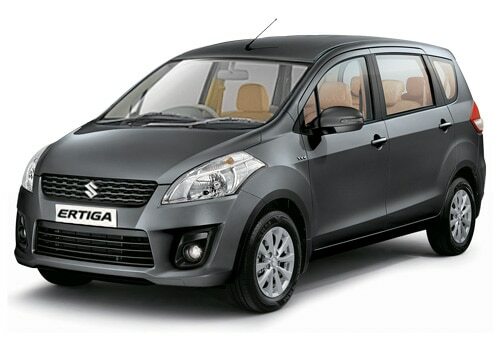 Maruti Ertiga is bringing a new dimension to the four wheeler market in India. India’s leading car brand Maruti has hit the headlines once again with the launch of their Life Utility Vehicle [LUV] Maruti Ertiga. Maruti company which is better known for manufacturing small cars, has now entered the stream of MPV with the introduction of Maruti Ertiga. This new variant from Maruti can accommodate seven people including the driver. Many Maruti lovers were waiting for this type of car. This new version can be reckoned as a family car. 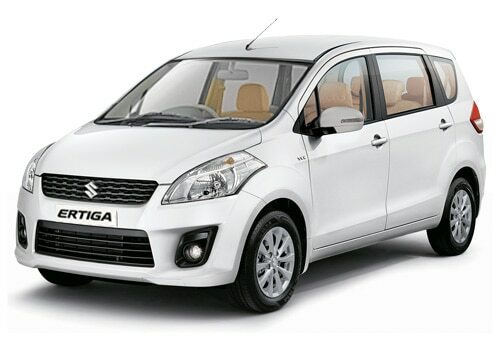 Ertiga name is taken from Indonesian language which means three rows. Like the name the interior of this new variant is split into three rows. The company is offering this LUV in both petrol and diesel versions. Maruti Ertiga price in India is starting from Rs.5.89 lakh (ex-showroom New Delhi). The petrol version is a 1.4 liter advanced K-Series engine with 4 cylinders and a 5-speed manual transmission gear box. Whereas, the diesel motor is a 1.3 liter direct diesel injection system with a similar gear box and number of cylinders. The Maruti Ertiga pictures reveals a sleek front bonnet with an elegant radiator grille and a bright head light cluster, while the front body colored bumper has a set of fog lamps for enhanced visibility in low light and foggy conditions. The Maruti Ertiga review states that the mileage of both the versions of this LUV is amazing with the petrol version giving a mileage of 12.3 Kmpl, and diesel version boast of an impressive 17.2 Kmpl approximately within the city. Maruti has high expectations with its LUV segment car. According to the company this new variant will give good competition to all the vehicles which are doing good business in this segment. If we compare this new LUV with Toyota Innova which is reckoned as one of the top sold vehicle in this segment then we could infer many bright prospects for Ertiga in comparison with Innova. Ertiga is cheaper than Toyota Innova and another main advantage of maruti Ertiga over Innova is the mileage factor. The Maruti Ertiga diesel car variant gives approximately 17.2 Kmpl in comparison to the 10.2 Kmpl delivered by Toyota Innova. We have to wait and watch what affect this new vehicle from Maruti will cause over Toyota Innova sales. While we are waiting, we can also look out for the upcoming car launches in India. The new cars that are coming soon are the Tata Safari Storme, Chevrolet Captiva, Volkswagen Jetta Petrol and speculations about an upcoming launch of Rio Premier Diesel is also heard. I recently shared that Skoda Superb vs Volkswagen Passat and Maruti Ertiga to drive in on 12th April.